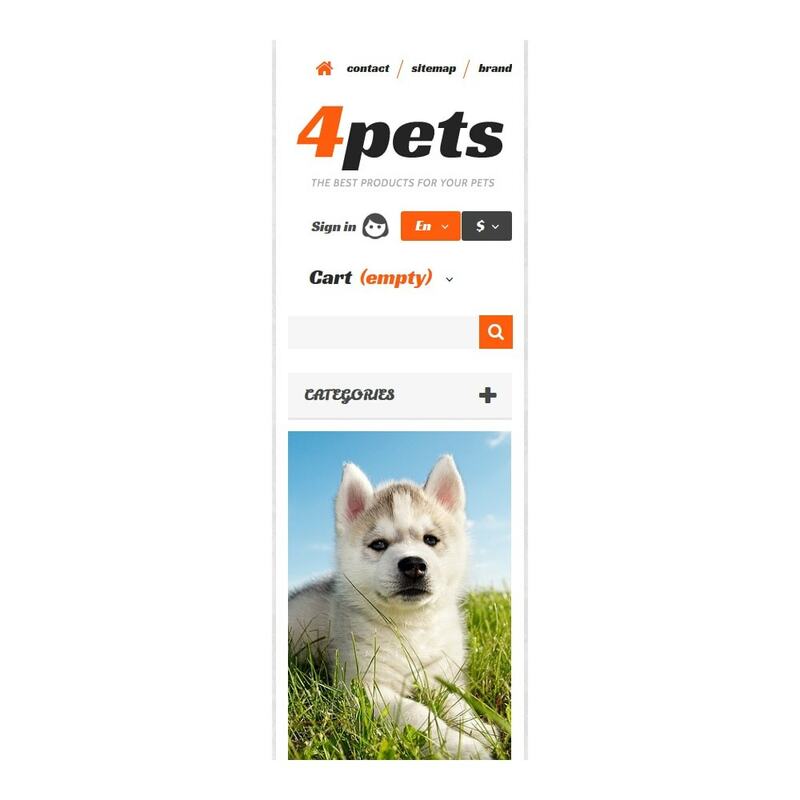 Économisez $40.00 en choisissant cette option maintenant. 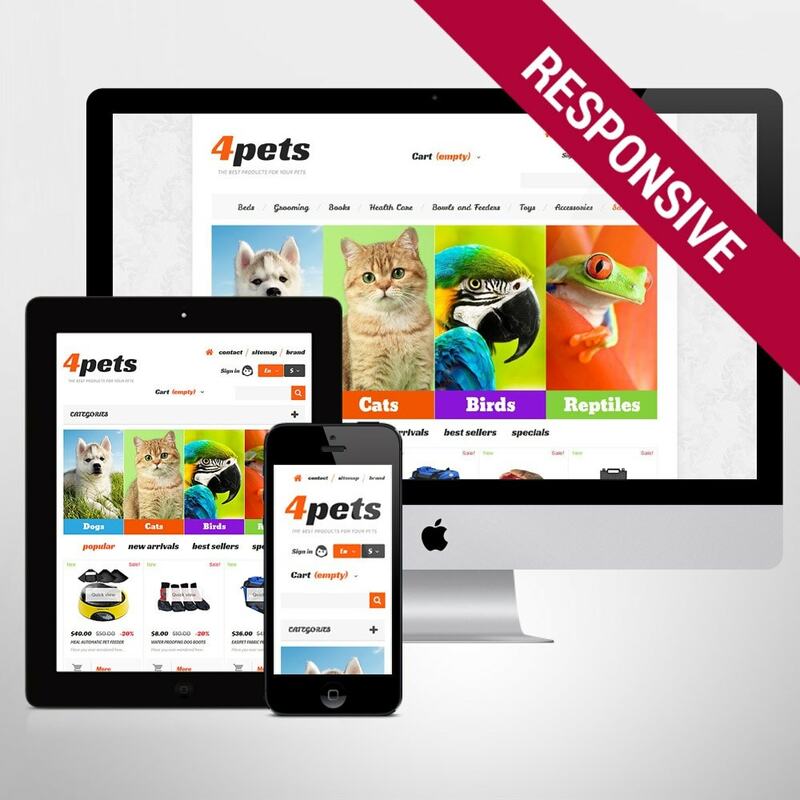 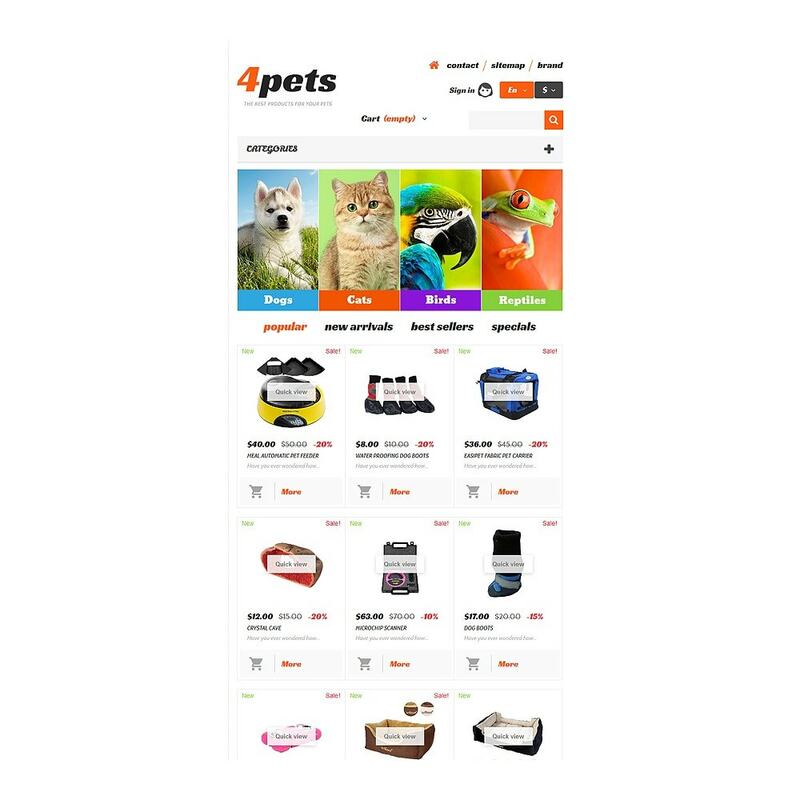 Apply this responsive Pet Shop PrestaShop Theme to sell animal-related wares more effectively. 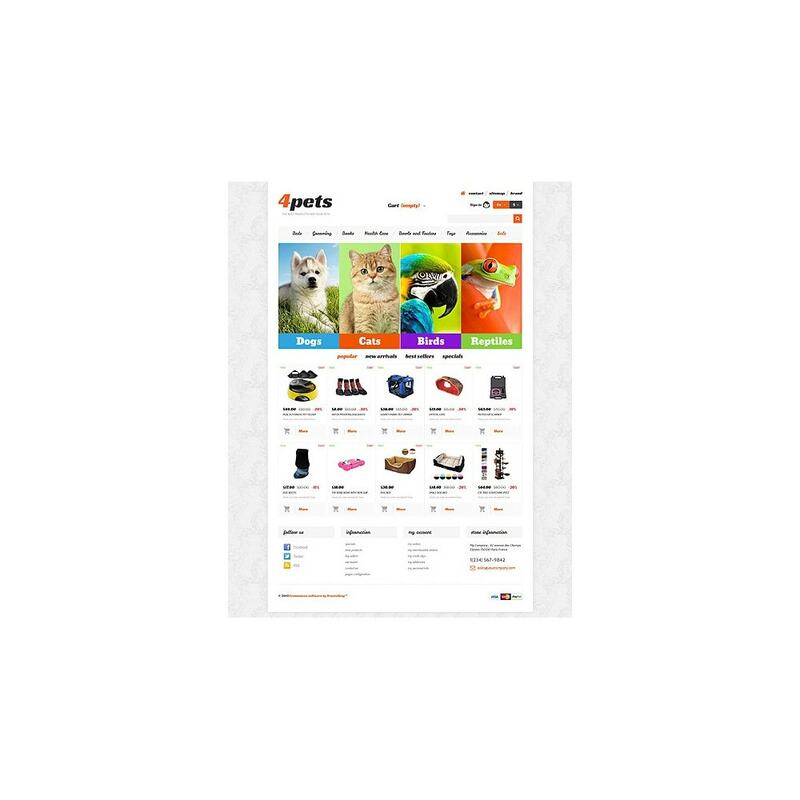 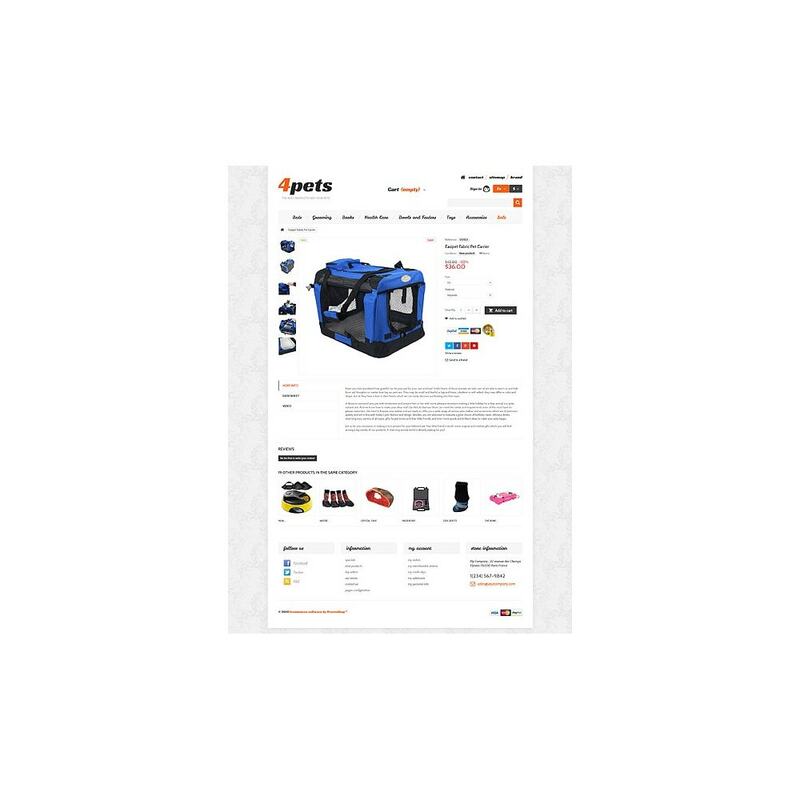 It offers a boxed layout with customizable background, creative fonts, content tabs on the homepage, and full spectrum of basic eCommerce functions. This theme also provides a full-featured popup quick view, several category views, integrated live chat, and a complex system of customizable filters. 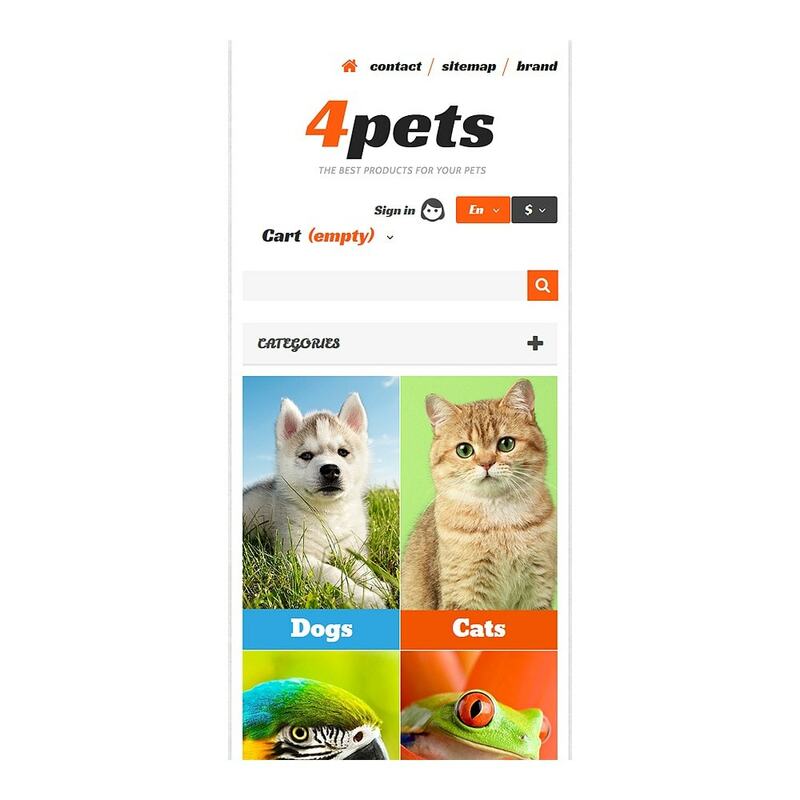 With 4Pets you can run a multilingual store thanks to its support of several languages and currencies. 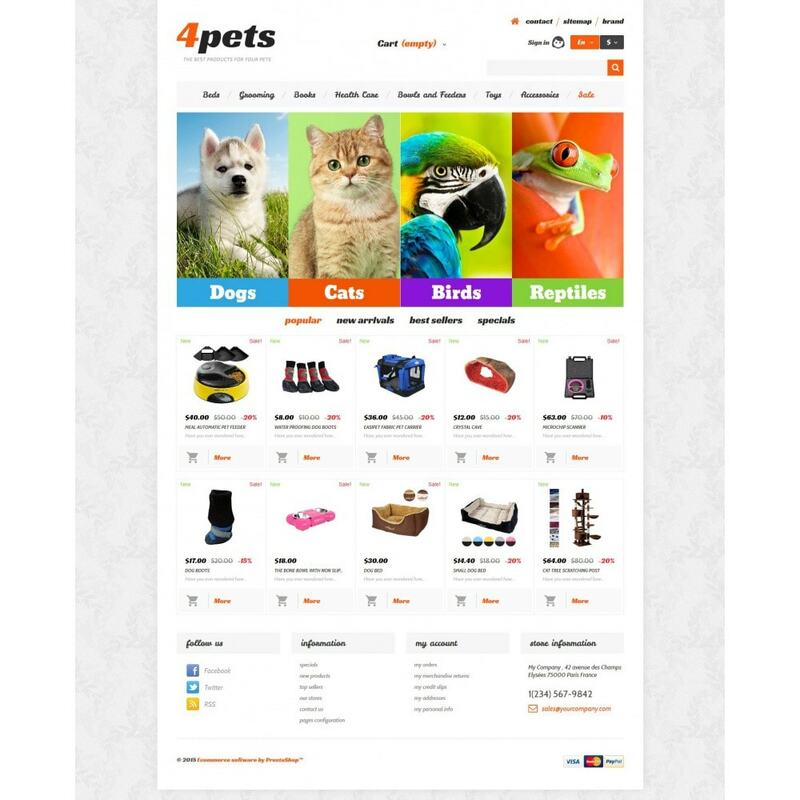 Use this responsive PrestaShop theme for Animals & Pets, Sport, Travel, and Family online stores.